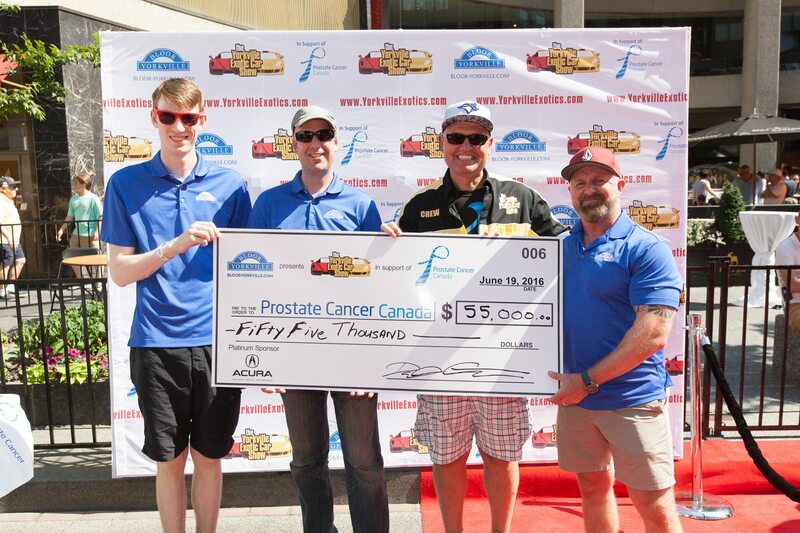 6th Annual Yorkville Exotic Car Show Raises Record $55,000 for Prostate Cancer Canada! You are here: Home / 6th Annual Yorkville Exotic Car Show Raises Record $55,000 for Prostate Cancer Canada! The Yorkville Exotic Car Show this past Father’s Day was another huge success, with a record $55,000 raised for Prostate Cancer Canada. The event has raised over $200,000 since it began for the charity, which helps to prevent and eliminate this prevalent cancer. One in 8 men will be diagnosed with prostate cancer in their lifetime. Over 95,000 people walked up and down the spectacular red carpet on Bloor Street, taking in the sights of eleven corrals of luxury, exotic, and vintage cars, including this year’s show-stoppers, the new 2017 Acura NSX and an extremely rare Ferrari La Ferrari, worth over $2 million dollars. The event also attracted the attention of almost every major media outlet in the City, with pre-event coverage in the Globe and Mail and National Post, and on-site coverage from the Toronto Star, Toronto Sun, CTV News, CityTV News, Global Toronto News and 680 News. 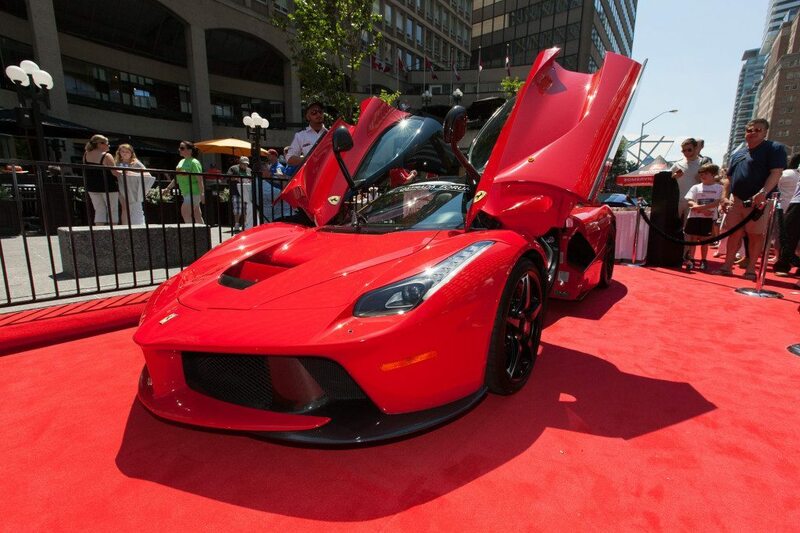 Since inception, the Bloor-Yorkville BIA has been the Presenting Sponsor of the Yorkville Exotic Car Show. Along the revitalized Bloor Street, the red carpet, velvet ropes, and coveted supercars help to bring attention to the many local businesses that sponsor the show, and cement the Bloor-Yorkville neighborhood as a place of quality, excitement, and luxury. The show’s ever-increasing profile and the contributions to charity help show the sense of community that has been built by all of our BIA members. Along with the excitement of the show, attendees could enter to win in the Prostate Cancer Canada 50-50 draw and in the Bloor-Yorkville Prize Package Draw. Thanks to many our member businesses, winners of the Prize Package Draw received luxurious gifts worth $2,700 in total. The Bloor-Yorkville BIA also held a social media contest on Instagram starting one week before to build buzz for the event. Prizes worth $600 were won by Alexander Yip @alxndr_yip who came to the event and shared his photos of many amazing cars and excited car enthusiasts. Thanks to all the prizes offered by our local businesses, we were able to make a real impact on social media and to learn more about the customers who visit Bloor-Yorkville. 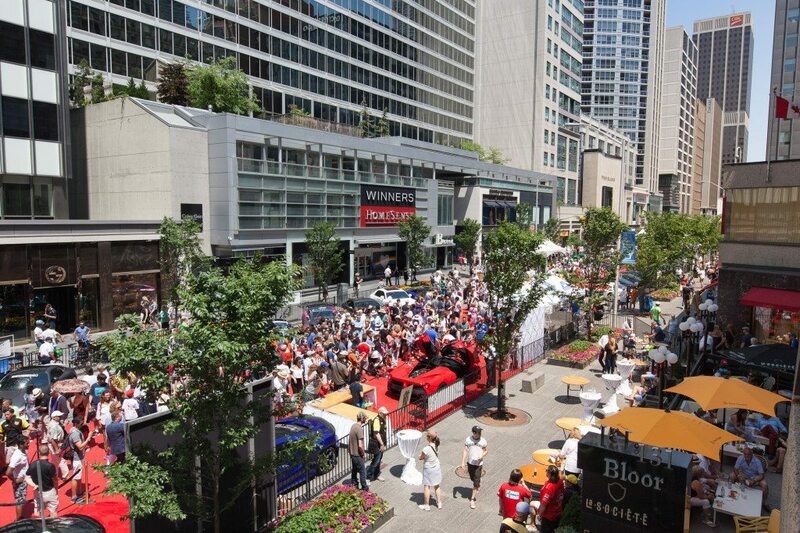 The event was trending on Twitter, with almost 120,000 impressions over the day and almost 100 new @blooryorkville followers from the contest.